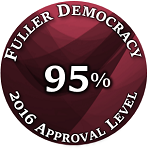 Improving mental health services was one of the most popular initiatives in Fuller Democracy 2016, with 95% of people in favour. Based on this, I went through some calculations on how much it would cost to implement a German level of mental healthcare in Ireland. I used Germany as an example, because the mental healthcare system there is quite good. The Canadian system, which is our model for physical healthcare reform, provides very little in the way of mental healthcare, which is why I have separated my physical and mental healthcare policies. In Germany, a patient seeking mental health services can attend their GP for a recommendation, but they are also free to simply make a direct appointment with a fully qualified psychologist. They may attend treatment for a few sessions or years depending on their needs. There is no need to be on the brink of taking one’s own life to avail of this service – one might, for example, suffer from moderate anxiety or depression or insomnia. However, whatever one may be experiencing, it does need to reach the level of a mental health issue as assessed by a professional in order to qualify. In addition, many Germans elect to see private practitioners, such as life coaches and these are not generally covered by their insurance. Thus, a significant chunk of money spent on mental health in Germany does not pass through the official health system. But what does pass through the official health system, is still very generous compared to Ireland, which spends a grand total of 7 Euro per person on mental health every year. According to my rough calculations, Ireland would need to spend five times as much as it does (about 150 million Euro a year) to provide a level of covered outpatient mental healthcare equivalent to that traditionally offered in Germany (this excludes German spending on psychiatric hospitals, medication and rehab). We are already spending approximately 35 million per annum, so that leaves 115 million to be found. I propose to cover this gap by legalising and taxing cannabis at standard VAT, a measure that 74% of people in Fuller Democracy 2016 supported (see my drugs policy). This would raise an estimated 150 million in revenue annually. That means it would cover the 115 million Euro deficit in mental health care with approximately 35 million Euro as a buffer, in case revenue or costs differ from the expected (these are, after all, rough estimates). The running cost of one person attending 30 therapy sessions is approximately 1800 Euros. So the costs of ten thousand people attending 30 therapy sessions each would be approximately 18 million Euros. That is ten thousand people who are not receiving covered treatment today, who would receive that treatment for only a fraction of the total revenue that legalization and taxation of cannabis is predicted to raise. Furthermore, many people attend therapy for a shorter period of time, and, of course, unlike in the case of physical health, many people may attend therapy for a certain period (say, six months or a year) and then never feel the need to see a therapist or counsellor for the remainder of their lives. For 18 million Euro we could treat not just 10 000 people, but 10 000 people a year. When it comes to mental healthcare, a little goes a long way. Indeed, I can think of no other policy that would have a greater impact on society and the economy in such an incredibly cost-effective manner. By legalizing and taxing cannabis at standard VAT and ring-fencing the proceeds for mental health, it is almost impossible to imagine a scenario in which we do not have enough money to provide for outpatient therapy for everyone in the country with some resources left over for improving psychiatric hospitals, funding rehabilitation programmes and even researching and optimizing our mental healthcare.